Follow these four strategies to pay off credit card debt and return to sound financial footing. Paying off credit card debt takes commitment. Gimmicks don't work and neither does buying a lottery ticket. What you need is a solid strategy with actionable items that produce results. Here are four strategies that will help put you on the road to repayment. The first strategy is to stop increasing your credit card balance. Although this seems obvious, it can be challenging to put into practice. Credit card use turns into a habit quickly. To break any habit - especially one that can be devastating to your long-term financial stability - you need to replace the old habitual action with a new behavior. To stop and replace your credit card spending, carry cash and change in your pockets or purse. Hold the money in your hand when you pay and count out the exact change whenever possible. By doing this, you pay more attention to how much you can spend. Credit is an abstract number that floats around in your head. Cash is real. Over time, paying cash will change your relationship with money and help you avoid overspending. Stop giving yourself more rope when you should be tightening the slack on your spending. 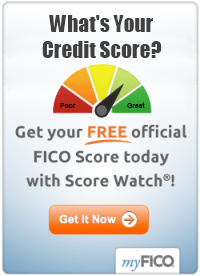 The more credit you have the more likely you are to use it. One trap in particular to avoid is credit accounts at individual stores. It is tempting to open a new line of credit to get 10% or 15% off purchases in a store. But, all this does is cause you to buy things you don't need. Also avoid opening new accounts for cellphones, television or internet services - and anything else that will create a new monthly payment for you to manage. Your goal is to eliminate as many financial commitments each month as possible. Credit card points and rewards are designed to lure you into using your credit card. But do you really save any money getting 1% or 1.5% cash back? Or do you spend more money then you should and justify it with the points you get? Take a close look at whether or not you benefit from this system. Don't be enticed by a future reward that will only result in more debt. Teach yourself to only spend the money you have today. When you pay off credit card debt, it involves reducing accumulation of expenses across the board. This includes acquiring unnecessary points, miles or rewards. The only thing that should be accumulating is cash in your savings account. Credit card debt consolidation is a double-edged sword. Transferring your balance to a 0% APR account could lower your monthly payments, but the transaction also comes with a fee. This strategy works under certain conditions. If you already have a card with a 0% APR promotional offer it may be worth transferring the balance. What you need to avoid is opening a new account just for the zero interest promotional period. More accounts create more temptation to spend. To be debt free, you must be temptation free. If you're not sure if debt consolidation is right for you, talk to a finance professional who can help you understand your individual situation. There is no one-size-fits-all solution for debt management. Your individual situation will determine what is right for you. Decide which of these four strategies is the best fit for you and take action to begin your journey to debt free living. Above all else, be patient. Depending on how much you owe, it could take years to be completely debt free. 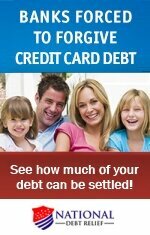 This article on how to pay off credit card debt was written by Rob Smith of Charlotte, North Carolina. Mr. Smith has a journalism background and has worked as a researcher, teacher, actor, real estate agent, and writer.